Built well, tested out by standing on it and held up fine. Folds up easily. 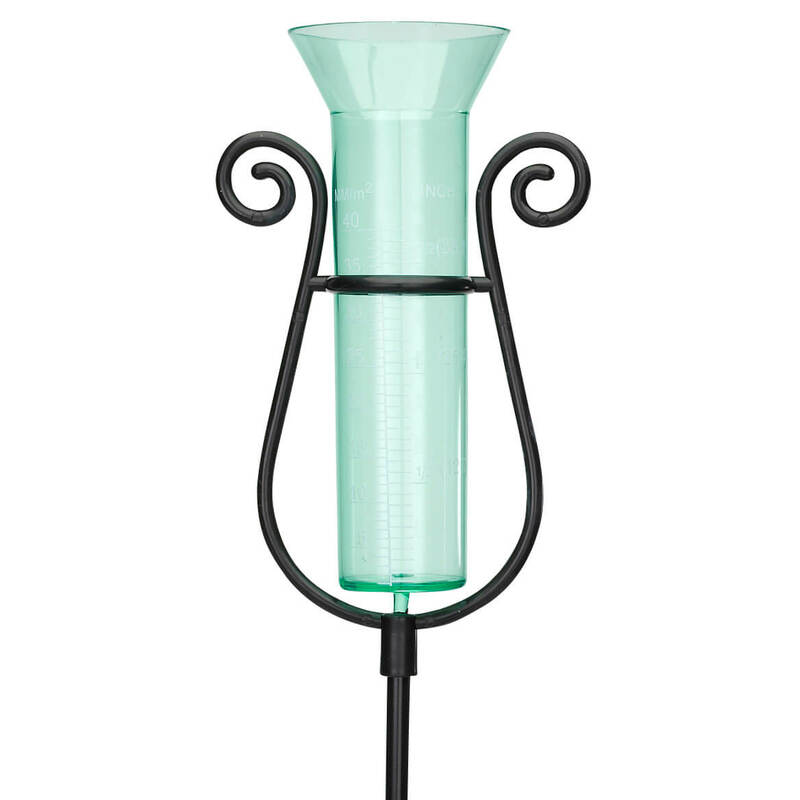 This is a great good find for the gardeners. I have not seen anything like it at local retailers. I've shown it to many friends and they are interested to purchase one from Miles Kimbal. An absolute need for anybody that has trouble getting up off of floor or ground. I have ordered 35 of them for people in our church and senior center. Comes in very handy when scrubbing the floor or any place where you get down and can't get back up again. Seniors just love them and thank me for ordering them for them. They wouldn't be without it. It's not just a gardening tool but used everyplace in and out of the house. It's the very best. Everything I had hoped for. Inasmuch as I have difficulty standing up from a kneeling position, this product is perfect. I wish I had had it a couple years ago. In addition, the padding is much kinder to my knees than the bare ground. This product is all I had hoped for and more. I received it today and it was exactly what I had been looking for. It folda up nicely for storage, and unfolds easily for use. I love the 2 levels and the hand grips are perfect for ease of rising. How did I do without this all these years? I love it! I had about given up gardening now that I am getting older, but now I can keep enjoying one of my favorite things to do. 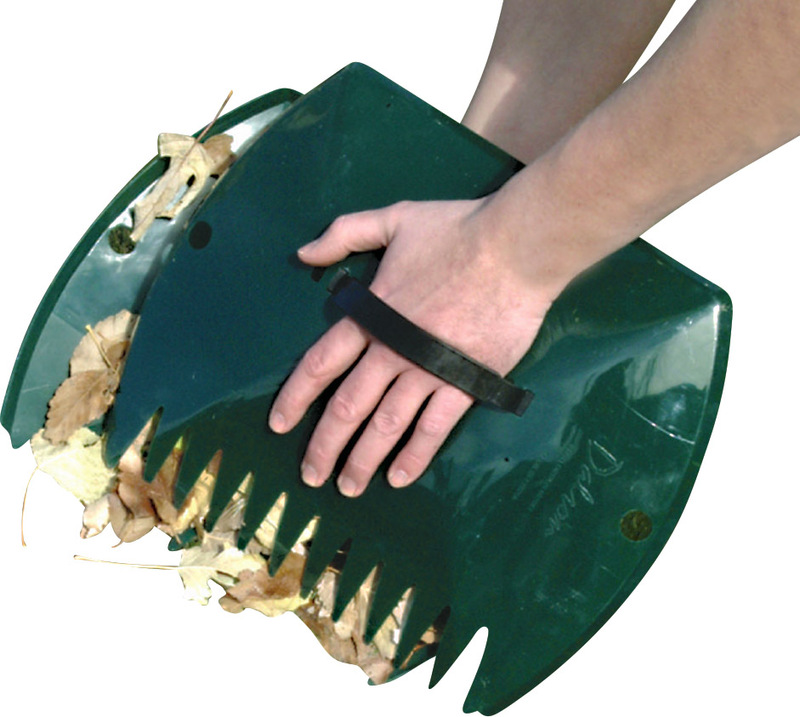 This is the best garden kneeler/seat! It folds easy for storage, is lightweight & comfortable whether you're kneeling or sitting. It's also the perfect height for raised beds. Ordered this product for "Hubby" to sit and water garden/flowers. I do not think that he has put it into use as of date, however, he was impressed with it when we received it. It appears to be very sturdy, easy to handle and fold when not in use! We would highly recommend, if find it tiring to stand to care for garden/flowers! I use it to sit on and also as a kneeler. The side arm supports help me get up! This bench is great for people who have difficulty standing up. The handles help steady us. The kneeling pad is comfortable. Without this garden bench I would have to give up gardening. I was so impressed with it, I purchased one for each of my 3 daughters and for my granddaughter. WOW! This item is unbelievable. It is just the right distance from the ground to pull weeds and plant flowers WITHOUT straining my back. It is SO sturdy. I am not a small woman and it even holds me. My 16 year old daughter made fun of me when I used it today as we did yard work. I stepped away to get another bag of mulch and ummmmmm, she was USING my seat/kneeler! She asked me to order her one! HA. GREAT ITEM. Don't stop making them! comfortable and big enough for my size 18 bottom. i cant kneel or bend over long enough to get my weeding etc done. i have a big area to tend, and this allows me to sit and do most of my chores. i just pick up the seat and go. i always get more done quicker than i think i will. i hope i`ll also lose weight because i do so much more now. hope to buy 2 more as gifts. After using this product to help with outdoor planting I ordered a second one to have at the ready for inside my home. When I need to get down on my knees I first need a plan on how will I get up. This kneeler does the trick. It is sturdy and I feel safe using it. Told a friend about the one I have and she had to have one. The price was right for her. Great product for the avid gardner . Having bad knees I find sitting on this lovely seat very easy on my back & knees. I love it. Very useful since I hurt my knee and cannot kneel down yet. Sitting while weeding and gardening is very helpful. Very light and sturdy. I wish I had bought two. This seat and kneeling bench is better then we expected. My husband can kneel but can't get up without difficulty. Now he can do things he hasn't been able to do for a long time. Plus now he can do other jobs easier by sitting down and not getting his legs tired out. It is very sturdy and easy to store away. We love it. Yes, I would buy this garden seat again! I haven't used this garden seat yet, but I am confident that I will enjoy using it when Spring arrives. It seems very sturdy, and will be so helpful as a kneeler or a seat. The handles will surely help in getting up from a seated or kneeling position. This bench is just the right height and width for gardening. Great for someone with a low back injury. KNEELING WHILE WASHING FLOORS IN YOUR HOME OR GARDENING - EITHER WAY - SIDE BARS HELP YOU TO GET UP EASILY & VERY COMFORTABLE ON YOUR KNEES. SITTING WHILE GARDENING - EASIER ON YOUR BACK & AGAIN SO MUCH EASIER TO GET UP WITH THE SIDE BARS. -- MINIMUM STRAIN ON YOUR KNEES & BACK. -- FOLD EASILY FOR STORAGE, SO IT DOES NOT TAKE MUCH ROOM TO STORE IT.-- AS A MATTER OF FACT, I ORDERED 2 MORE, FOR MY SISTER-IN-LAW & MY NEIGHBOR,THEY WANTED ONE AFTER THEY SAW HOW COMFY & CONVENIENT THIS WAS. This is great for me! I've convinced my sister to get one, too. 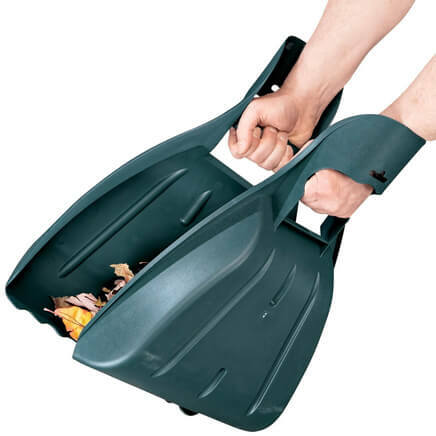 Great for both kneeling working in the garden and flipping it and sitting down to do some gardening as well. I love this folding bench...best purchase ever! This bench is great, indoors and out. I've used it when working (sitting and kneeling) in the attic where ceiling height is low, the house working in lower cabinets and drawers, and while washing floors on my knees, Both the seat and kneeling areas are cushioned making them very comfortable for long periods of time. Outside in the garden, I wouldn't want to work out there without it. It also folds for convenient storage, and they're super sturdy. A quality product. There's nothing I don't like. 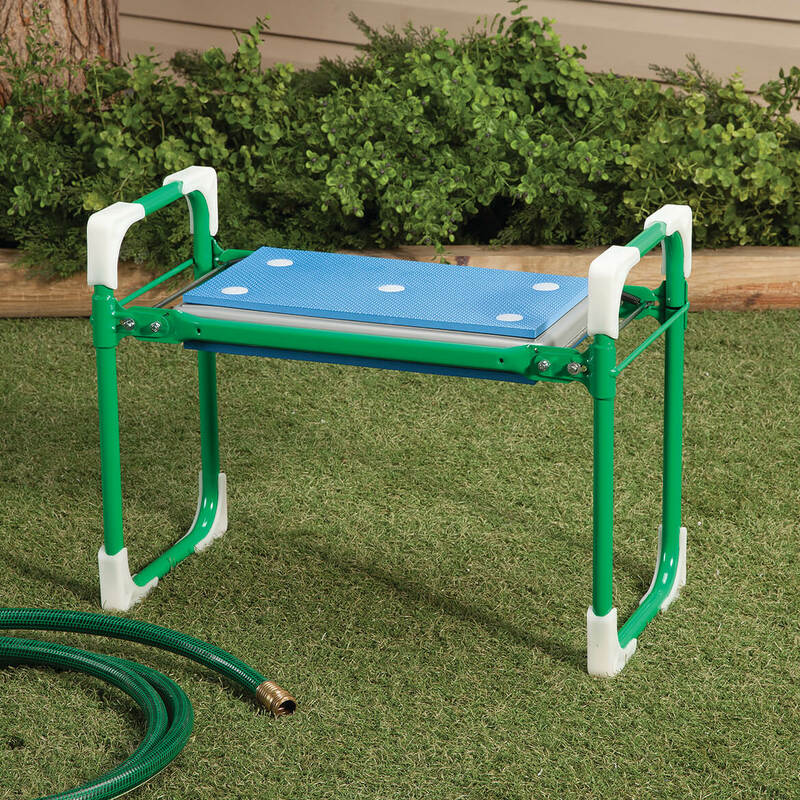 This garden seat has sturdy metal frames with secure attachments. The seat is a thick metal in between two padded seats for comfort and strength. Can be reversed, high seat or low seat. Someone with arthritis of knees can benefit from this, using the bench arms to pull up. I love that it folds up and stores in a small area of my shed with garden tools. So at 73 I can enjoy gardening without pain and secure that I won't be falling. I'm old and it's hard for me to get up from kneeling on floor! Anyhow I actually bought this to help me with my inside work. I can kneel on it and get things out of my bottom cabinets. It is just far enough off the floor to enable me to get up easily and is quite substantial so I can really lean on the handles. It unfolded ready to use right out of the box. Folds up easily and fits next to my washer. I do garden and will use it for that, but my major reason for buying was for indoor household tasks! I couldn't be more pleased. I used my first garden kneeler for over 25 years and it finally gave out. Would recommend it to any gardner that likes to get on their knees to work. Also works well for a seat cleaning pesky road gunk off vehicles or washing wheels. Oh, how I appreciate this product! great seat for indoors and outdoors. Couldn't get up from kneeling without it. My brother and wife were here helping me in the yard and I got out my kneeler. My sister-in-law loved it so I ordered her one too but Sandy said my brother has taken it over so I guess I will have to get another one. I have bad knees so I stopped gardening. With this garden seat, I'm back to working in my flower beds without pain and I can get up easily. I also use it to sit on while cleaning and organizing lower drawers or looking for something in a lower cupboard. Easy to use, easy to store, many uses. Well worth the money. I'm thinking of buying another one so one can stay in the house and the other with my gardening tools. My wife says her Folding Garden Seat is the best thing that has happened to her since snap rings on beer cans. I have difficulting getting up from a kneeling position and this item is sturdy enough to give me the support I need to get up. It's compact and easy to carry. I recommended this to all the gardeners in my family. also helps with cleaning floors and low cabinets. plastic corner protectors prevent scratching floors. I LOVE this folding garden bench and seat. It is very sturdy, yet light enough to carry as I move from place to place to do my weeding of plant beds, etc.! I can easily stand up after kneeling with the extended handles! It's Great!!! As I am a senior citizen, the kneeler seat is perfect for me. As a kneeler, the side handles help me to stand with ease. As a seat, it makes potting and other chores more comfortable. I would recommend this for anyone. Great buy! I have arthritis, and love to garden. This helps cushion my knees, and it makes it easier to get up. I use mine all the time. This one is excellant. I am on my second one! I use it outdoors for any type of kneeling as it is hard for me to stand up after being on my knees. The other one I had, broke and I just had to have a new one as I couldn't get along without it. It even comes in handy to use inside the house. I have RA and I love gardening. When I get down on my knees, I have problems getting back up. I will also be able to use in the house for some of my house cleaning chores. It is so easy to handle and set up. I love it. I had knee replacement and will be having other knee replaced and I felt this would help me as I work with my landscaping. I need a place to sit while I'm taking care of my garden. Helpful for gardening on your knees or sitting! Because of arthritis, pulling weeks and other similar yard work has become very painful. I'm hoping this will make it easier for me to get up and down. I had one just like it before, but lost it. I really like this seat because if I kneel on it, it has handles to help me stand back up. This is what I was looking to buy and all of the reviews stated that this is exactly what I needed. This is a very well made and handy gardening tool. For me this was a good investment. We already have one of these, and it's proven to be the best item we've purchased in a long time. We have one to use outside and one to use inside. Good for all types of chores!!! My other one is old and warn out. Needed a new one. Both my husband and I need help getting up from our knees when we are working in the yard! We're not as young as we once were! I have a similar one and use it all the time for planting which will be here shortly. I couldn't do without it! These are great! I love mine and also use them as gifts! We already have one and they are great! I'm ordering another for our daughter. I bought one several years ago and it's the best $35 I'e ever spent! 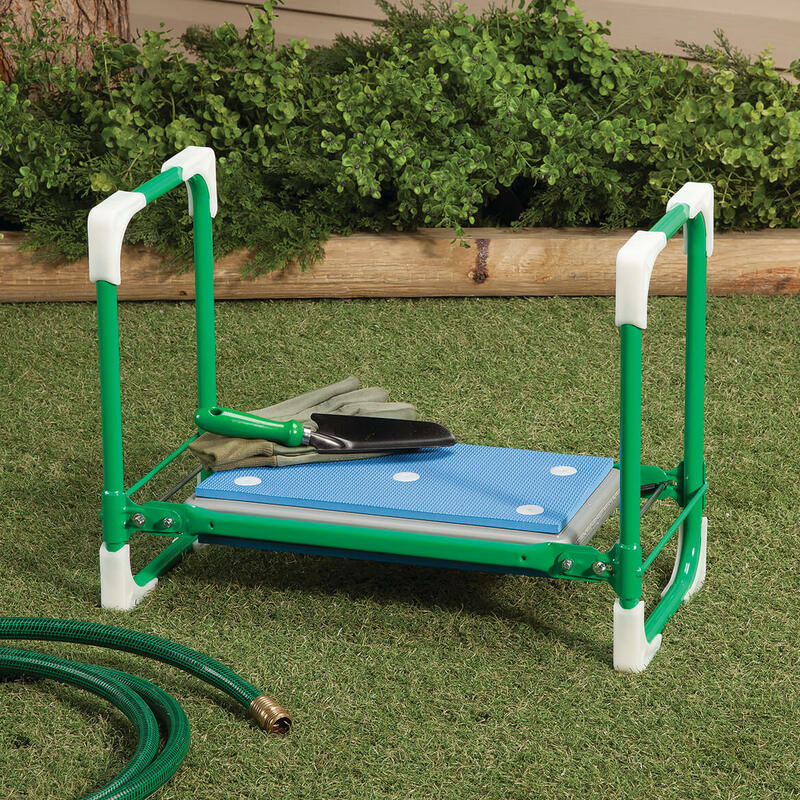 It's great for gardening and all around the house when you have to get close to the ground/floor. Kneeling or sitting, it has saved my back and pride. I've ordered another so I can have one for the house and one for outside. I like the feature of the reinforced/protective corners. The one I have is still in perfect condition; it's very well made. Thank you for carrying this product! I chose the better one after reading the customer reviews. 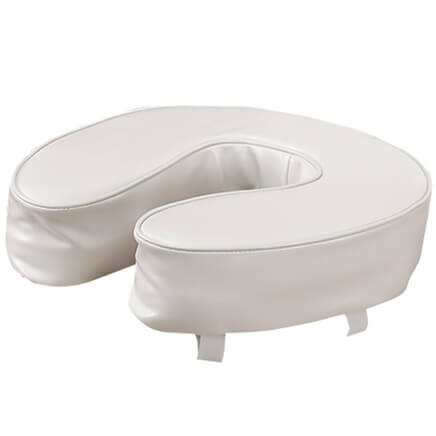 Wanted a sturdier unit with thicker cushion. My husband and I both have problems with our knees and difficulty getting up and this should be the solution. Still gardening at 73 and the support this product will provide will make my gardening experiences more enjoyable. Our community garden does not have any seating. Looked more sturdy tha others I’ve seen. My wife and I are senior citizens and need this so that we can work in the yard or on other projects. My husband has swollen feet and must keep his feet raised. I thought this might be good to move from chair to chair, so he has no excuse . I bought one last year, and now my husband wants one, so this is his Father's Day present. 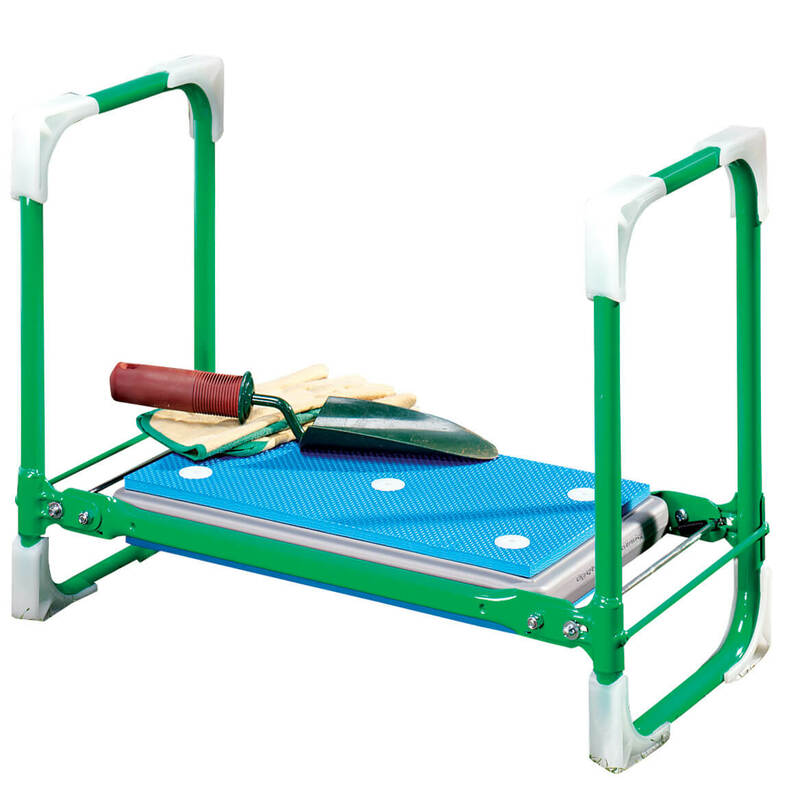 to help relieve back and knee problems in gardening. To help my parent rise from a kneeled position. 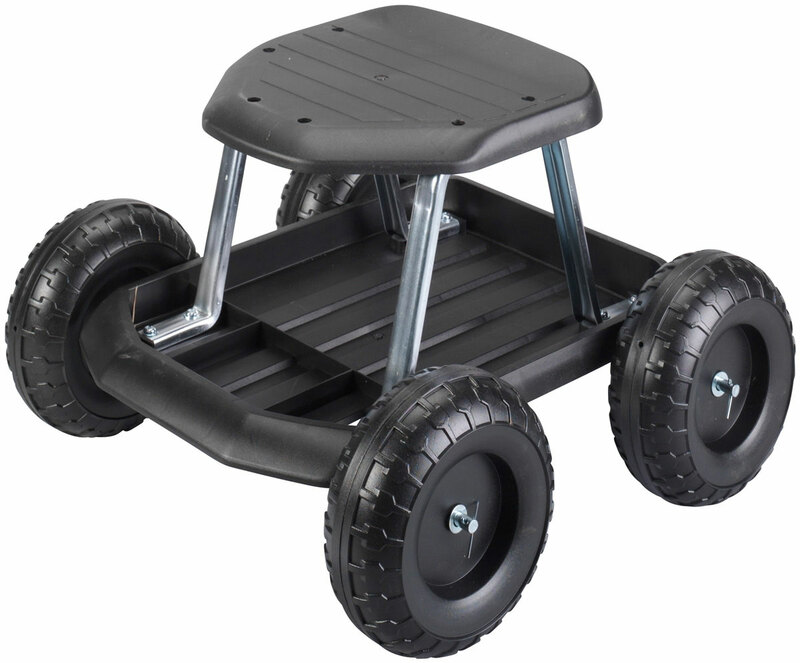 Have a garden wagon with seat that I use, but this looks sturdy and I will use it to sit on when there is less space to move around in. My sister bought one and I love it to use when gardening. It helps me get up. Have one and love it. My husband wants one. I'm old and need it to work in my yard. I had one before and really liked using it. Now I need another one. BEST ANSWER: Thank you for your question. The weight limit on this item is 250 pounds. We hope this information will be of help to you. Does this been really have the white corner protectors? Am looking for something that will not mark my wood floors. BEST ANSWER: This garden seat truly has the white protectors. Wonderful addition to a hope and really helps in getting up from my knees and sitting. Just wish I had one in every room plus two for out doors. Yes it does really have white protectors. I really enjoy using this seat because you can use it both ways! I do all my weeding with this seat and it is comfortable. Yes it does, & you can turn it either way to use as a kneeling bench or over for a garden seat. I use mine because I have spine & knee issues. Love it!! the white feet are plastic. They shouldn't leave a mark on the wood floor, but anything can mar a wood floor if it is pushed down on hard enough. Thank you for your question. The corner protectors are included with the garden seat. We hope this information will be of help to you. It does have the white corner protectors. I only used it outside. Handles to stand up are invaluable. Sturdy. Frame. the corners are made very well and do not marr anything. I use mine on the sidewalk and it has held up so far. Yes it does have corner protectors. Yes it does, just like the picture. Does it turn over to be either a seat or a kneeler? BEST ANSWER: it does!!!. this bench is wonderful. if you have any friends of relatives that may use it get one for them also. sidewalk and nothing has come apart yet. When you turn folding seat over from the above picture, yes it is a seat. My husband absolutely loves it for gardening and yard work. Plus it folds for easy storage. Yes it's a seat and the other side you can kneel. This is the best thing I ever bought. I even bought one for my sister and she loves me even more now. Yes, works very well in both positions. The great part is having the hand holds to balance while getting up from either kneeling or sitting. works both ways-seat and kneeler. The sides will help you stand up from kneeling. The legs are a little stiff to open and close. it does. this thing is what you are looking for if you plant flowers etc. How high is the actual seat? BEST ANSWER: The seat is 13 inches off the ground and the sitting area is 19 inches wide I turn it over so I can put my knees on it to plant. The handles makes it slot easier to get up. The knee pads are sort of rough so I put s small blanket on it yo soften it. It is a good investment. Thank you for your question.When kneeling, the pad is 4” off the ground, when sitting it is 12” off the ground. We hope this information will be of help to you. The seat is 15 inches off the ground. It's 14 inches high. I love mine!!!! Does the tool pouch come with it? BEST ANSWER: No the tool pouch doesn’t come with it. However I highly recommend it. It’s very sturdy and well made. My mom has had several knee replacements and this helps her in the garden as well as in the kitchen. The garden seat/bench that I ordered DID NOT come with a tool pouch. is the pad replaceable? i have a seat from another company, and while the stand is in good shape, the hardware that held the seat in place just rusted out and so the pad is almost off. there's no way to replace the seat. thank you! BEST ANSWER: No, the pad is permanently attached. But the hardware that attaches it to the metal is heavy plastic so it would not rust out. I really love this garden seat and recommend it highly. It is much higher quality than any one I have previously seen. No, the seat cannot be replaced at all. what does this bench weigh? BEST ANSWER: Thank you for your question. The bench weighs 7 lbs. We hope this information will be of help to you.